“The Turk has no friend but the Turk”. This old Turkish proverb is getting more and more true as the country led by Recep Tayyip Erdogan is progressively slipping into the chasm of international isolation. 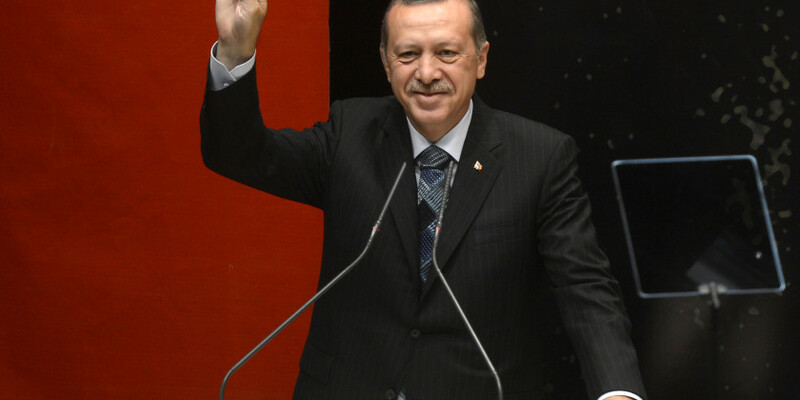 Since the beginning of the Arab Springs, Erdogan has bet on the wrong horse, strengthening his ties with Muslim Brothers and frontally attacking the Egyptian president Abd al-Fattah al Sisi. Fatal mistakes that the materialization of the Transatlantic Trade and Investment Partnership (TTIP) could render even worse. As we know, the launch of the TTIP negotiations in 2013 has attracted considerable attention. First of all for the economic dimension of the agreement, and secondarily for its geopolitical consequences. This is obvious: TTIP aspires to create a much more deeply integrated transatlantic market composed of the 28 European Union (EU) countries and the United States. We are talking about a population involved of about one billion people, in other terms the 47% of the world’s GDP and almost the 27% of world trade. Very big numbers of a very big pie, and Turkey wishes to have a slice of that pie. Turkey is a country that sits just in the midst of two highly contested regions, handling with different wars if we think about Syria on one side and the raise of the Islamic Caliphate on the other side. The country is a member of Transatlantic Organization (NATO) since 1952, but lately – under the leadership of Erdogan and his Islamic party AKP – Turkey has been having domestic as well as external problems. Therefore, many questions have been raised about its commitment to transatlantic values and many of its historical allies have begun to look to Ankara with a certain suspect, especially because of its ambiguous attitude towards the Islamic State. In this contest, the signature of TTIP could have very negative consequences on Turkish economy and on its geopolitical aims. Despite a foreign policy that more and more often gives his side to heavy critics from the allied countries, Turkey’s economic and social ties with its traditional transatlantic allies remain very strong. At the end of 2013 the 44% of Turkey’s foreign trade was with the EU and the United States; more than two-thirds of foreign direct investment in Turkey came from the EU and the U.S. And the 66% of Turkish capitals were invested there. The data shows that during the last ten years the Turkish economy has grown impressively and has become the seventh largest economy in Europe (including Russia), and the 17th largest in the world. All these factors have pushed the Turkish government to energetically advocate for Turkey’s inclusion in TTIP. In April 2013 the president Recep Tayyip Erdogan (who then was premier) wrote a personal letter on the subject to President Obama. But since then times have changed and Turkey now is more isolated than ever. As professor Nihat Bulent Gultekin of the Wharton School of University of Pennsylvania says to The European Post: “TTIP will be problematic for Turkey. Customs Union was not negotiated well for Turkey for such situations. Turkey, as a non-member, is not a party for this treaty. The US will have full and free access to the Turkish markets while Turkey will not have the same access to the US markets unless it negotiates a special treaty with the USA”. And professor Gultekin concludes: “Americans are extremely protective of their turf. I believe such a treaty must go through the Congress and, under the current environment, I do not think Turkey will be in a position to be treated favourably. For EU, however, it is a good move. It will open the US market to Europe further and a little competition from the USA is also good for EU”. According to the position of Turkish government, the TTIP could indeed be a vehicle to revitalize and strengthen Turkey’s ties with the transatlantic alliance. Both because of the economic advantages that Turkey can bring to the membership of TTIP, and because of the added value that Turkey can bring to the geopolitical objectives of the agreement. Undoubtedly, the inclusion of Turkey in TTIP would probably have a significant impact on its neighbours, but all we know right now is that the exclusion from the pact would surely have negative consequences on Erdogan and on his geopolitical aims, and it would also be damaging to Turkey’s own economic development. Erdogan’s aim is finding a way to be included into TTIP or, alternatively, signing a parallel free trade agreement between the United States and Turkey, in order to create a win-win situation for all the actors involved: Turkey, the United States, the EU and Turkey’s neighbourhood. The fact that Turkey would experience a net loss of welfare is not surprising, given the terms of its customs union with the EU, which was negotiated with the expectation that it would be a transitional arrangement while Turkey moved towards eventual full membership in the EU. Something that seems almost impossible in this moment. We must say that the customs union contributed greatly to Turkey’s economic development and the competitiveness of its manufactured products. The adoption of EU regulatory standards and preferential access to the markets of EU members greatly benefited Turkish economic development. However, Turkey has been required to adhere to the EU’s common commercial policy. This has meant that each time the EU negotiates and signs a new free trade agreement with a third party, Turkey becomes bound by the terms of such an agreement. It then has to launch its own initiatives to conclude a similar agreement with that third party so as to acquire similar market access and eliminate the possible risk of a trade diversion. In few words, as a World Bank’s report has highlighted, Turkey has had to open up its market to export goods from these third parties without being granted reciprocal preferential access for Turkish goods. This puts Turkey in a condition of disadvantage and facing the possibility of trade diversion risks, especially when third parties refuse to negotiate and sign parallel free trade agreements with Ankara. The old proverb about the Turk as the only friend of the Turk could become a fatal reality for Erdogan’s country as well as for his dream to resuscitate the Ottoman Empire in the Twenty-first century.